The marker has normal wear on it form play. Original case is included with the marker. Superbolt - Silver. Being sold by reputable paintball dealer (PB Sports ). There is not a mark that I see on the gun. The barrel does not fit in the box correct ( it has to be squeezed in ). The gun has been gone through and works great. If there is a problem we do whatever we can to make it right. Rotor is used and has some wear from use, never had any issues w it, it’s a Rotor! Comes w rain lid and quick feed as shown Shipped with USPS Priority Mail. HK Army Eject-G 5 4 4 Paintball Pod Pack Harness - Carbonfiber. Condition is Used. Shipped with USPS Priority Mail. Tippmann Cronus Tactical. 68 Caliber Paintball Gun. The new Tippmann Cronus Tactical combines high performance with incredible durability in a milsim body. TIPPMANN CRONUS TACTICAL Paintball Gun Strong construction,200 round, gravity feed hopper that will fit all 68 caliber paintball guns. Smart Parts Yellow Flame Jersey XL. Condition is Pre-owned. Shipped with USPS First Class Package. 20 OUNCE ALUMINUM CO2 TANK. Tank logos may vary. empire vanquish 1.5 V16 paintball marker. Condition is Used. Marker is in great condition. 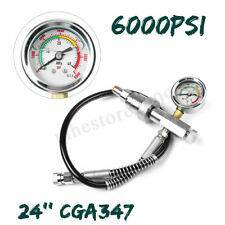 Comes with lube, spare O-rings, 4 control bores, 679, 687, 689, 691. Any questions feel free to ask. The shirt features reinforced elbow and shoulder padding with ultra breathable chest, side, and back panels. The sleeves are a durable rip-stop material with Velcro accents, arm zipper pockets and pen holders. Full Face Protective Safety Mask. Can Be Used Just As Goggles! Solid Faceplate. Fully Removable Visor. Full Face & Ear Protection. Internal Foam Face Padding. vintage rare smart parts paintball girl barrel condom cover jt spider collectibl. Condition is Used. Shipped with USPS First Class Package. It's very simple. You can't hit what you can't see. The Tippmann Intrepid Goggle gives the player superior visibility, protection and comfort at a great price. No matter what kind of paintball you're into, the Tippmann Intrepid goggle is ready for the action. We will respond to your inquiry in 24-48 hours. WE DO NOT TAKE BACK ANY USED OR OPENED PRODUCT. Push Button On/Off. Fits Tippmann 98 Custom, Model 98, Custom Pro, A5, X7, and more (see below). Replaces Ball Latch on Tippmann markers, Prevents balls from rolling out of the marker's barrel. The ball latch is a part of the Tippmann marker that prevents paintballs from rolling out of the barrel before being fired. High quality aluminum high-pressure air tank designed with safety as a top priority. These tanks are new, with a fresh monthly manufacture date. Maddog 48/3000 Compressed Air Paintball Tank HPA. 48/3000 Compressed Air Tank Features. 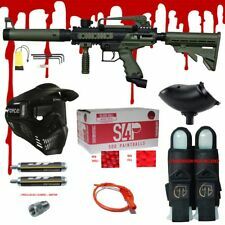 1 Year Parts & Labor Warranty trhought Empire Paintball. Lightweight, Balanced Construction. We will respond to your inquiry in 24-48 hours. Mask / Goggles. Sold with Ninja Thermal Lens. Airsoft Gun and Paintball Gun Information Clothing / Apparel. Dual-pane lens creates a thermal barrier to reduce fogging. Airsoft Clothing. Distortion free spherical lens with 270-degree field of vision. You get a straight shooting paintball and a bright mark with this case of paintballs. So it's cheaper and faster just to clean the balls off yourself so you can actually get out and play. Here are instructions on how to clean paintballs. In comparison to our high end harnesses, these materials are quite low end. The NX-SP40 features a body wrap belt, pod ejection system, and grip pad on the back of the harness. Non-slip rubber neoprene material ensures balanced pod positioning to provide concentric pressure for even flow pod ejection. This is used, but in great shape! This will look great on your Autococker! Perfect to finish your project gun! New ListingNinja 3k/35ci Compressed Air Paintball Tank - USED - Rebuilt! Ninja 3k/35ci tank! This tank has a born date of 04/16. The reg has been rebuilt with new internals. Great compact tank size can be used by most players. We have 2 of these remaining in very similar condition, as such the one you receive may vary slightly from the photos. If you already have a gun and tank get this and you're ready to ROCK! CAMO TACTICAL VEST Paintball Harness with REMOTE Coil & 4-130rd PODS! This harness can carry 4-140 round pods(4-130rd PODS INCLUDED) and a Tank (nearly anysize CO2 tank NOT INCLUDED - big enough to hold a 2 Liter bottle of soda! ). New ListingVirtue SPIRE III advanced paintball loader. BLACK. BNIB! Virtue SPIRE III high performance loader system. Standard capacity (220 round) version. With Adapter. Fill via male quick disconnect fitting fixed on valve assembly. Mini fill valve is hardened, plated. Restrictor, bleed hole and safety groove. DOT, low pressure burst disc. The V3 Goggle Case also makes use of the void inside the goggle with a redesigned larger zippered, microfiber lined storage pocket that can accommodate a large cell phone, keys, and other valuables with ease. The 3Skull Harness line features durable nylon construction and secure Hook&Loop & elastic belt wrap system for the casual player. 4 3 Pod Harness - Black. Being sold by reputable paintball dealer (PB Sports ). The ER2 showcases technology used in a lot of higher end markers. Its smooth pumping action and anti-chop technology gives any beginner a seamless shooting experience. ER2 Pump Marker. 50 Paintballs in five 10rd tubes. This sale is for: ***PLEASE NOTE These Ears Do NOT Come With Mounting Hardware*** 1- Set JUST Released HARD 2.0 Proshield Ears - Brand New Never Used JT PROSHIELD BLACK 2.0 Ears. Theses ears are NOT Flexible. Mounting Hardware NOT Included. Yes these are HARD PROSHIELD 2.0 ears. ***All other masks, parts and accessories sold separately*** These are the latest, most durable and comfortable ears JT has ever manufacture. These new JT ears fit heads much better than the older Proshield Hard ears. These are made of hard plastic offer more ear protection than the rubber 2.0 ears. Thank you for looking. JT ER2 Pistol Paintball Gun. Gun Upgrades. This prevents the Airsoft Gun from being mistaken for a real firearm. Airsoft Gun and Paintball Gun Information The gun works with any 12 gram CO2 cylinder and any standard size. 68 caliber paintball. Designed to fit on the Tippman A-5. Fits Tippmann A-5 Paintball Marker. Sling Mount. Manufactured out of high impact grade composite. Ergonomically designed for better comfort. Lightweight, tough water-resistant exterior, coupled with a supple high-pile microfiber lining makes sure your loader arrives to the field scot-free. Custom designed divider prevents inserts from damaging each other during transport, but also folds down if a larger tip \ back is placed in the sleeve. Paintball BARREL & INSERT FOAM BLOCK! This will hold up to 66 barrels (up to 20" in length) and 13 Freak/Empire inserts (in the front row, see pics) safely and securely on your workbench or at playing fields! I have multiple available, all of which have a 2015 born date. Any warranty claims must be handled by the manufacturer, if available. Immortal Air 68/4500 Lite Regulator. Fits Tippmann Custom 98 & PRO Paintball Marker. Manufactured out of high impact grade composite. Works with ACT also. Designed to fit on the Tippman Custom 98 & PRO. The body and internal components are fabricated in the USA using premier grade aircraft aluminum and advanced machining processes. The AeroLite Regulator is not only built with performance in mind, but also convenience. - CA Adapter attaches to any paintball marker. - Quick Disconnect to easily attach and detach your marker. This was pull from a working Ion marker. Forget the batteries, keep it simple while keeping it fast with the Primo loader from Proto Paintball. New Proto Primo Gravity Hopper Paintball Loader - Black. Hopper Acc. Airsoft Gun and Paintball Gun Information. 500 in a sealed bagSOLID YELLOW. New Protective Airsoft Paintball Tactical. Full Face Google Clear Lens Mask. Clear lens protective mask. Clear protective lens with anti-fog liquid. Full face protection for eyes and most of face. Fits over eye glasses. NEW! Viewloader Revolution Revvy, BLACK Paintball Hopper Shell Kit L&R. Viewloader Revolution Revvy, Smoke Paintball Hopper Shell Kit! Want a 2 Face?. 1 Black side and one smoke?. BLACK color! 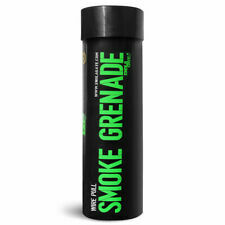 I have a ton of these in Smoke and Black. Airsoft Propane filling adapter. 1 x Airsoft Propane Adapter. For Airsoft use ONLY. Do NOT use WD-40 as a substitute for silicone. Mixed propane with silicone oil: Only when you press the stem, the silicon oil will go out with propane and go inside to your GBB magazine.